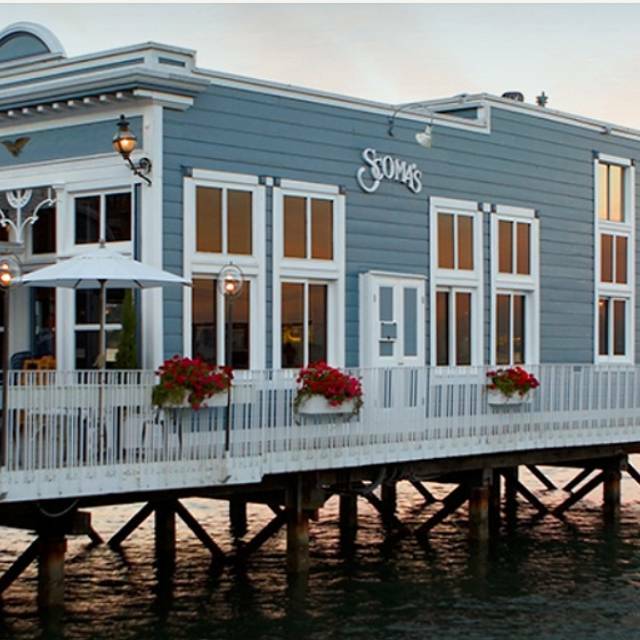 Scoma's Sausalito is situated on the water in a historic landmark building overlooking San Francisco Bay. 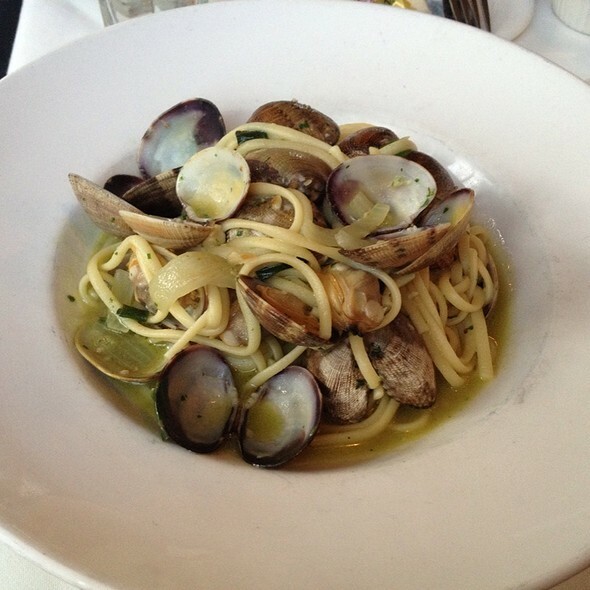 Scoma's has offered diners romantic views while serving superb fresh seasonal seafood and Italian specialties. Please call David for banquet and group bookings. This restaurant takes reservations on Open Table, but does not give open table points. Fish is quite good here, vegetables could be cooked better. Servers are friendly. Our waiter really made the evening for us. He treated us like long lost friends. Made us feel very welcome and at home. Food was very good. We had a great experience. Although the restaurant was full, due to our booking not only we had a table, but with 5 minutes waiting a table at the waterfront. Amazing view, even with the weather not being on our side. Our waiter - Roland was amazing! Helpful, attentive, great service. We had the crab cakes and the gambas al ajillo for starter, and then both of us the hanger stake. All delicious. The Cabernet Sauvignon we chose was also a good choice. Celebrated my husbands Birthday here on Thursday. Everything was fabulous! The food, service (from gentlemen at the front desk & waitstaff) and dining experience was outstanding. 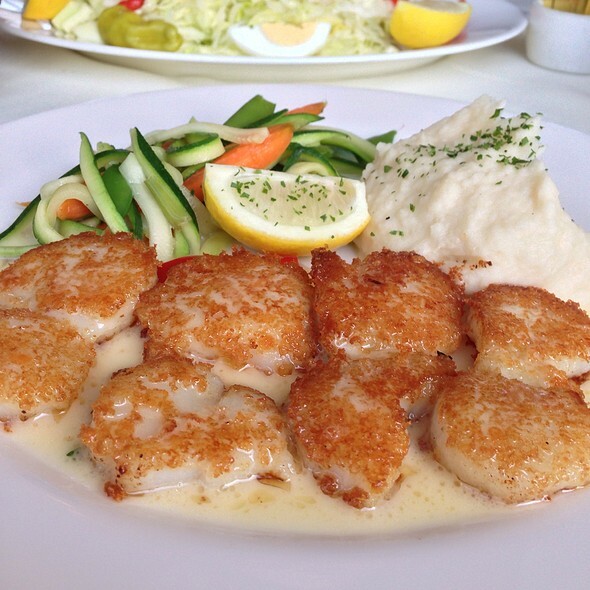 Scallops cooked to perfection. The baked oysters were great as well. Though we enjoy the food and atmosphere at Scoma's .. it seems like it's time for them to update their menu . The best part of the dining experience is the view from the water front. Welcoming hosts, accommodating for the family, terrific homemade fresh seafood and Italian fare with a phenomenal view of San Francisco. It's a a classic gem! The food service and location are the best. I only marked down one star as the tables are so packed in that you feel very crowded. Best crab I had ever! 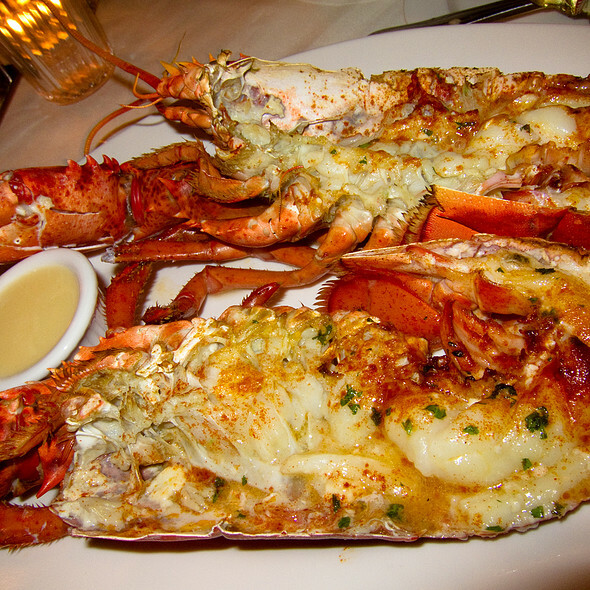 Very nice, freshest seafood. Beautiful view, except tourists standing in front of windows. The best seafood experience in the bay area with an incredible view of the bay and San Francisco. Wonderful wait staff and the maitre d was personable and welcoming. Calamari was not good. The rest of our dinner was good but not exceptional. this Scoma's is not nealy as good as Scoma's SF. You are paying for the view in Marin. Scoma is a very lovely resturant by the water front. It has an old world charm . I had requested a table by the window so it allowed us to see the bay view, it gave us a beautiful lunch backdrop. Very loud group next to our table. Could not have a conversation. Food was outstanding! Scallops melted in my mouth and the veggies and mashed potatoes were great. The seating was a bit cramped. I would visit Scomas again in a heartbeat!! We were early for our reservations and we were accommodated right away. The manager took the time out to answer a few "local fresh" questions about the menu. And our server was amazing. Thank you Scoma's my wife and I truly enjoyed our visit, just what the Dr. ordered. Wonderful food, sevices and setting. Well worth the trip to Sausalito from San Francisco. I enjoyed the restaurant, but I expected a more elegant & spacious atmosphere. From the outside it appears to be huge & elegant. But inside it is very constrained. I felt squeezed in, and we were in the area with a view. However, the service, food & timeliness at seating us - with a reservation of course - was excellent! 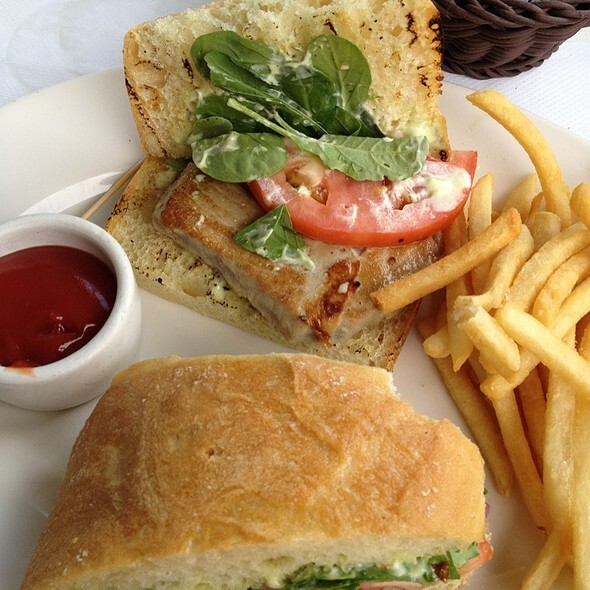 We love Scoma's anytime we are in the Bay Area and can find time for lunch or dinner here. I love the sand dabs, hubby loves the scallops. 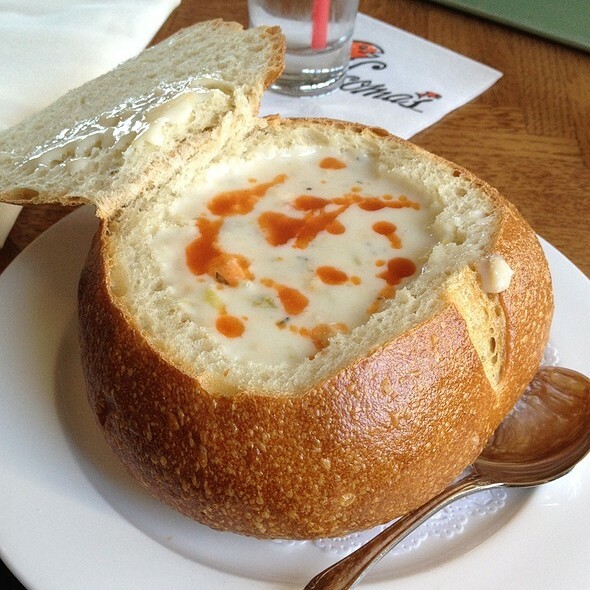 Crab cake, clam chowder are excellent starters. Can't imagine anything bad on this menu. I'm not a huge seafood person, but my husband loves it on occassion. But I have to say the Sole I had was amazing - and the sauce, please order extra!!! The calamari and the lobster, also incredible! Also, such lovely service. Highly recommend!! I always love coming to Scoma's. But it's a bit pricey. Good for a special occasion. Everytime I come to San Francisco this is a must-see dining experience. Beautiful views of the San Francisco skyline from across the bay. Great date night spot with best views possible. We come here every year for a special occasion, whether it be a birthday or anniversary. We love the food, the view, and the staff are second to none. For that special someone, this place cannot be beaten. Always enjoy Scoma's in Sausalito. Beautiful view of San Francisco and the Bay, fabulous fresh seafood, nice wine list and cocktail selection. This visit was particularly charming due to our server, David. David was helpful, smiling and added flavor to the lunch by sharing Old San Francisco stories and shared that the restaurant values it's employees and treats them well. 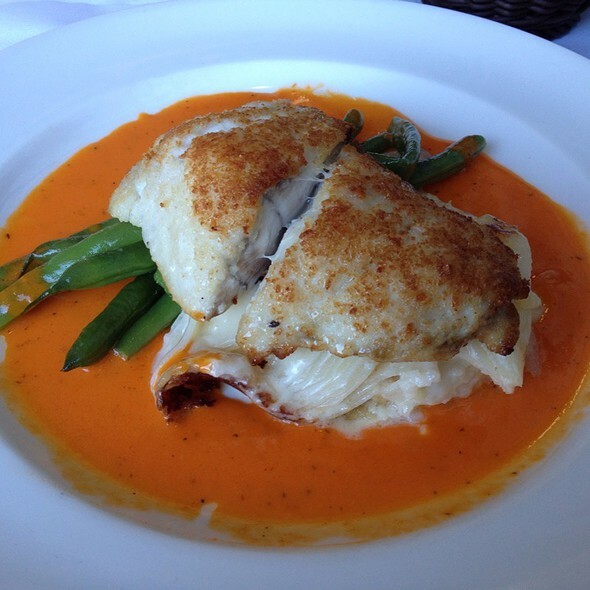 The halibut with crab butter was outstanding and included large chunks of crabmeat. Yum! My boyfriend and I made reservations here after a few recommendations from his parents as well as others, and it was a good choice! The drive can be a little much, but even though it was rainy, cold, and dark the night we went - it was still amazing being close to the water and seeing the city from across the bay. The ambiance is a little off inside, it's "dressy casual" attire (I wore jeans, boots, and a sweater and my boyfriend had on khakis and a button down) and there were people there who were less dressy than us and a few who were more. The food was good, a seafood based menu as was to be expected on the water. The service wasn't the best, but we were in no rush so it was okay. We had a drink at the bar before our reservation and the bar tender seemed to know his way around behind the bar, although he wasn't much english speaking so we didn't talk much. We both enjoyed our meals but it did seem a little pricey for what it was, and it wasn't a "super fancy" dinner by any means. Overall, a great experience and would recommend! great for a casual date, not FANCY, and if you are willing to make the drive. would probably be best on a pretty day so make sure weather is good. Terrific food, wonderful hostess and waiters, best view in Sausalito. Although the food was not spectacular, the food was certainly better than average, and the service and friendliness were exceptional. The view is also excellent, and the entire atmosphere made both my date and me (GIC: Grammar is correct.) very comfortable. It was worth the trip, and we will make it a regular stop when staying over in the San Francisco area. Dined here with in-laws after visiting the Golden Gate Raptor Observatory on Hawk Hill (highly recommend!) on a Sunday afternoon in October. We were 15 minutes late for our 1:30 pm reservation, but nonetheless were seated within minutes. The place was hopping and our table was near the door with lots of foot traffic from patrons and staff. The food was amazing and our server, Trish M. was awesome and responded quickly when my mother-in-law spilled her Cabernet! Would not hesitate to dine here again, but I think it would be worth the wait for a better table. The noise didn't bother, but the constant foot traffic and bumping were a little annoying. Definitely recommend. Crab Louie is not on the menu but available on request. It is fabulous! We came to Scoma's Sausalito for lunch on a Tuesday around 1:30. It was a perfect day, sunny and warm. Our friends that my wife and I were with, had been to the Scoma's in San Francisco, and loved it, so we decided to come across the bridge and try out this one. The fish selections are really good. We had the sole and salmon which was fantastic! Our server was very attentive and so not only did our food taste great, we had phenomenal service. Even my Arnold Palmer kept getting refilled as I needed. Very classy. The view was really good too. We had seats by the window and it was simply spectacular. 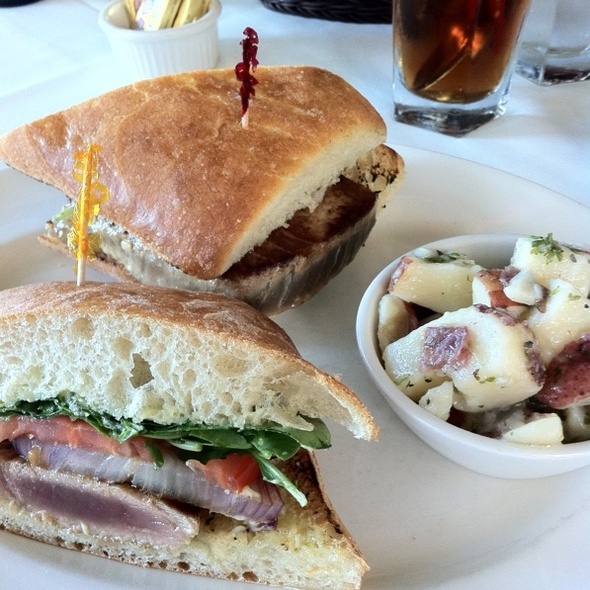 Highly recommend Scoma's Sausalito for a classy, beautiful setting, with great food and service. 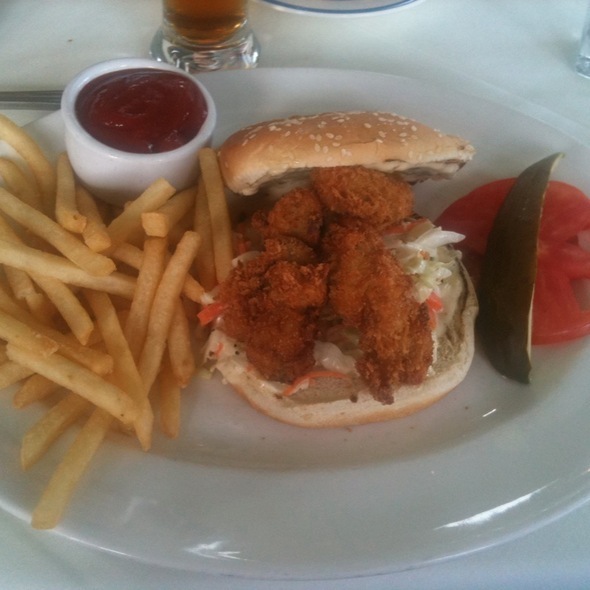 We were 2 couples, food was great, excellent service and view on the bay and San Francisco. Tiny little outdoor patio with few tables. I would recommand but don't expect to eat outside by the sea. Great service and food. Beautiful view of the bay and city. The waiter was borderline rude. Only one of us had good food. Not worth the cost of the meal. We went to Scoma's Sausalito for a Birthday dinner. None of us had been to Scoma's Sausalito previously. Made reservations online through OpenTable. The reservation was for a Friday night and the traffic coming up from Silicon Valley was a little heavy and slow due to the first rain of the season. We called and let them know we would be slightly late. No problem. We arrived about 10 minutes late and were seated immediately. Our waiter, David, came by and introduced himself and told us the specials of the day. There were three of us in our party and we ordered the following: Chicken Parmesan(one of the specials), the Wagyu Shortribs and the Pan seared day boat scallops. All of the meals were excellent, no complaints. In addition we had started off with sharing a appetizer of Caprese salad. Delicious! For desert we had a vanilla gelato, Creme Brûlée and the cheesecake. Again all of the deserts were excellent with no complaints. The service was excellent. David always seemed to be available, however was not pushy or annoying. He was very friendly and helpful at all times. Overall a very nice evening out overlooking the bay towards San Francisco for dinner. We would definitely return for a meal with friends from out of town or on our own. We were visiting from Australia and the restaurant had been recommended to us. It did not disappoint. The views are fantastic and the food was very good. Another wonderful dining experience at Scoma's in Sausalito! I requested a table in the front dining room, and we were given a window table with a great view of the Bay and San Francisco. The food was delicious and beautifully presented. The service was excellent. All in all, my friend and I were extremely pleased.